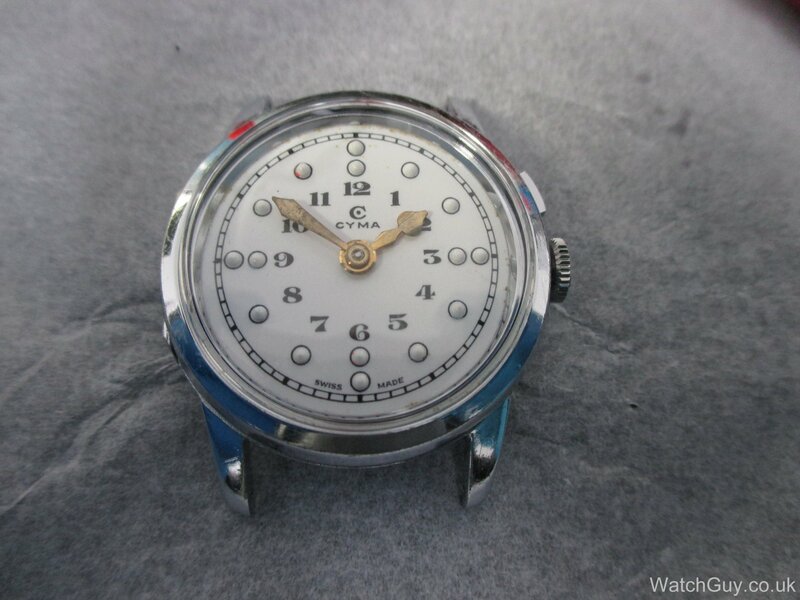 Service: Cyma Braille / Calibre: 458 | Mitka's vintage watch service. 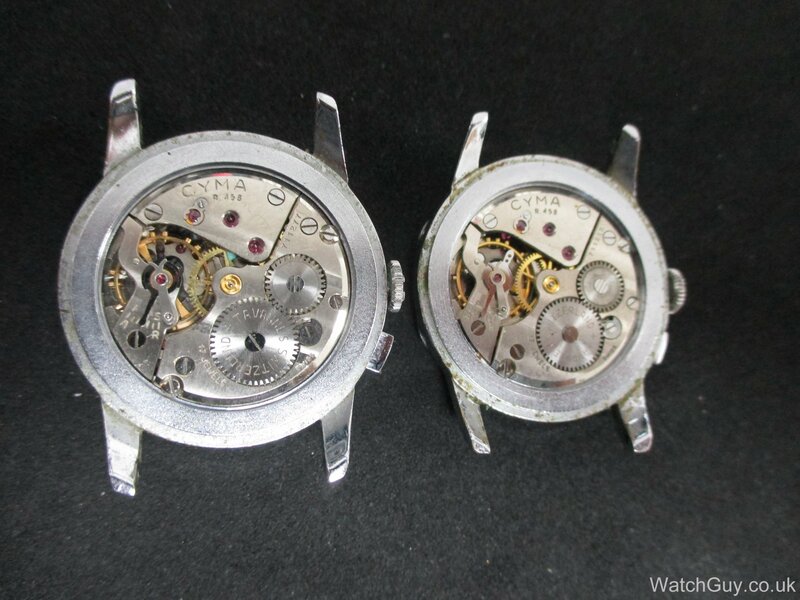 ← Mitka’s vintage watch shop/blog. 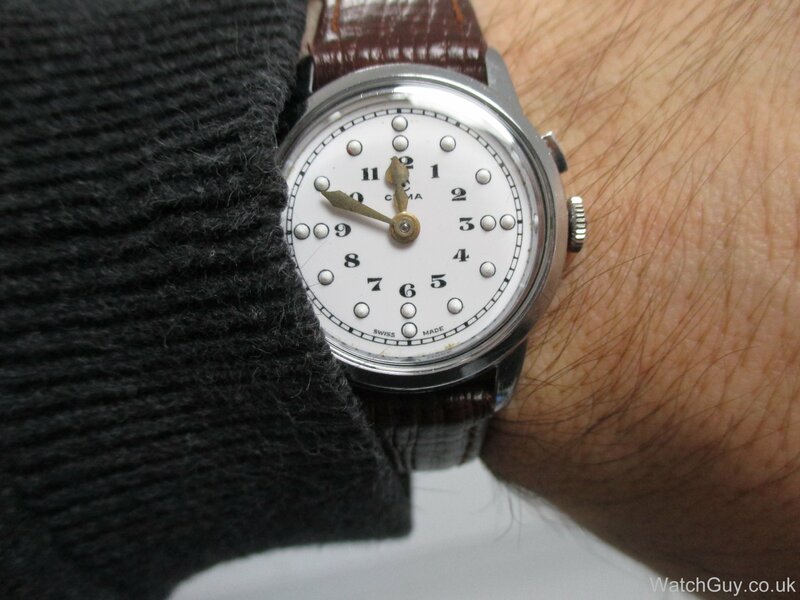 As some of you remember, I blogged about a Revue braille watch that I gave as a gift to my good friend Felix’s father. That watch was stolen and he was very upset about loosing it. 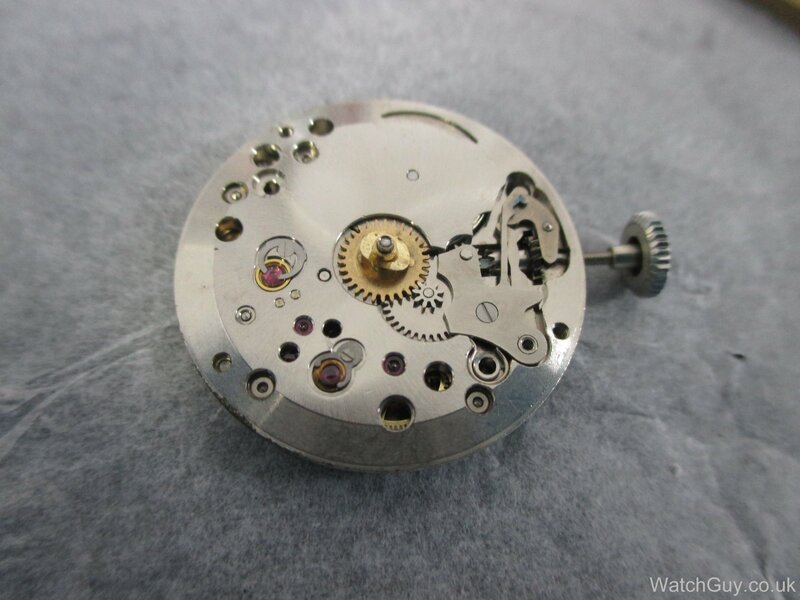 I got several good suggestions for a replacement watch that was greatly appreciated. 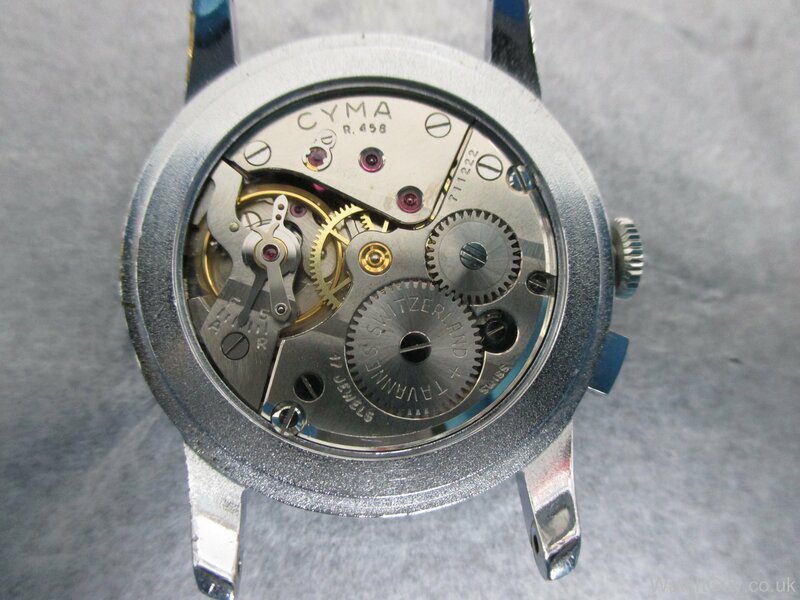 I found a worthy replacement in the form of two project watches from Cyma, one has a broken hour hand the other a broken bezel. 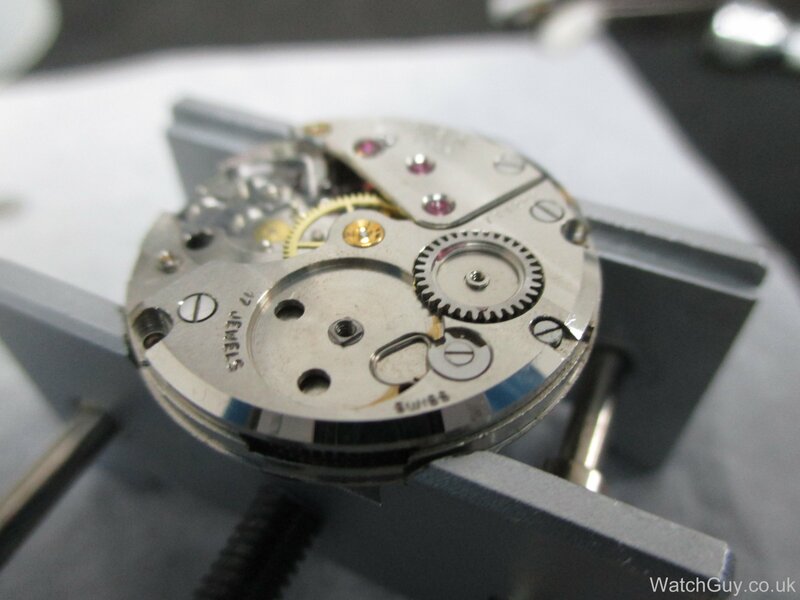 The movements are both in decent condition, but I opt for the slightly better movement to the right. 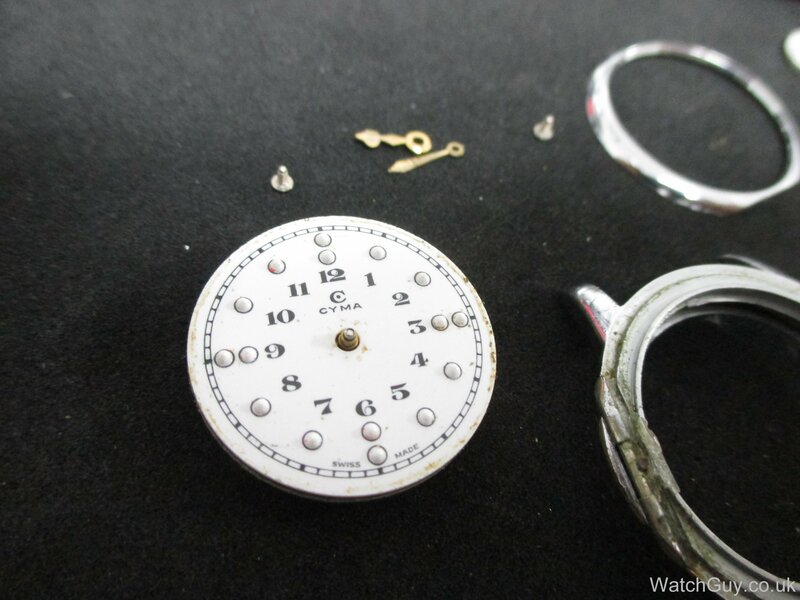 The dial is made out of enamel and in excellent condition. I like the Cyma shock protection system. It must have been expensive to make compared to using inca shock. I have removed the train bridge and the barrel bridge. Everything looks to be in good shape. 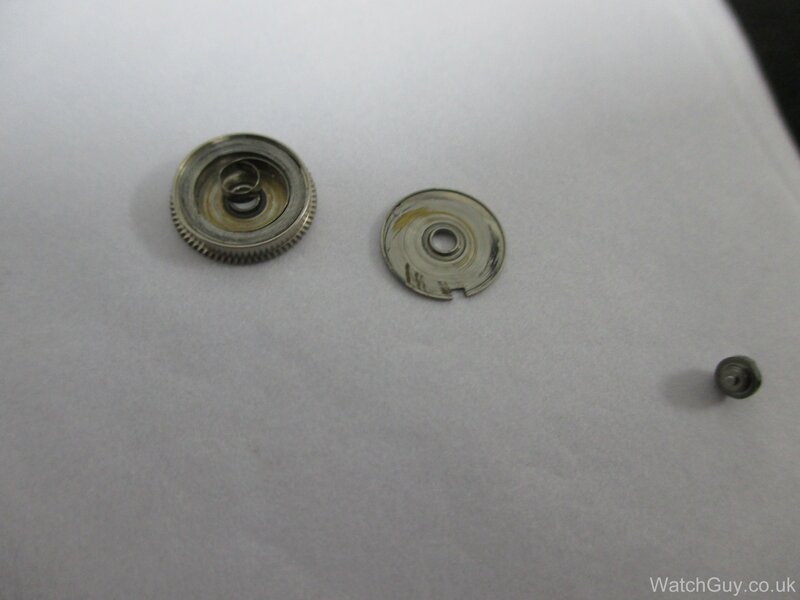 The mainspring before being cleaned. I will use it again as it still looks very good. All the parts have been cleaned and are ready to be put back together. 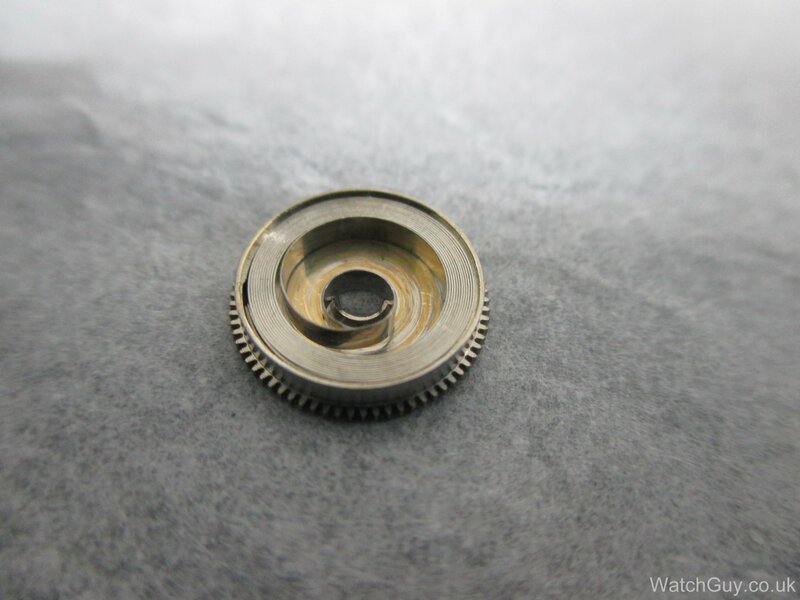 Mainspring is cleaned, oiled and wound back into the barrel. 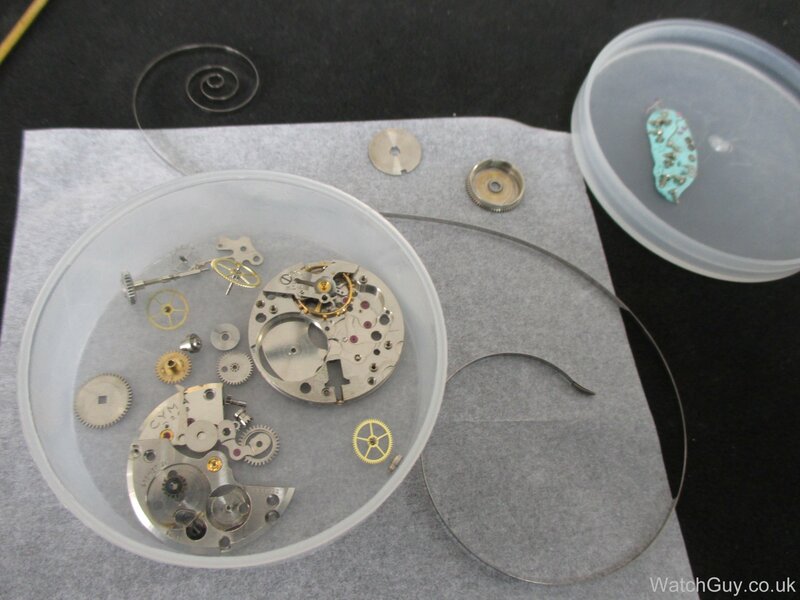 The gear train is clean and back in the movement. Movement coming back together nicely. The setting mechanism back in place. Note the escape wheel is capped on both sides. 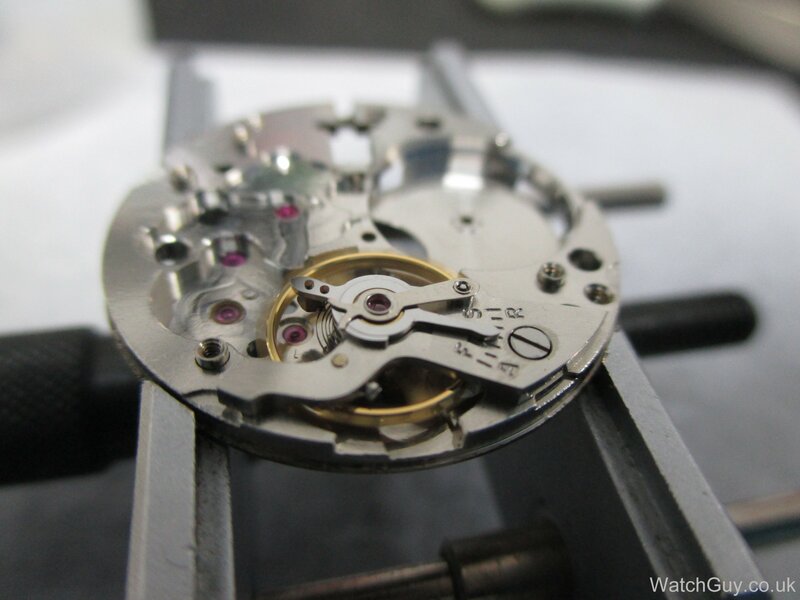 Movement goes into the case with the good bezel ring. 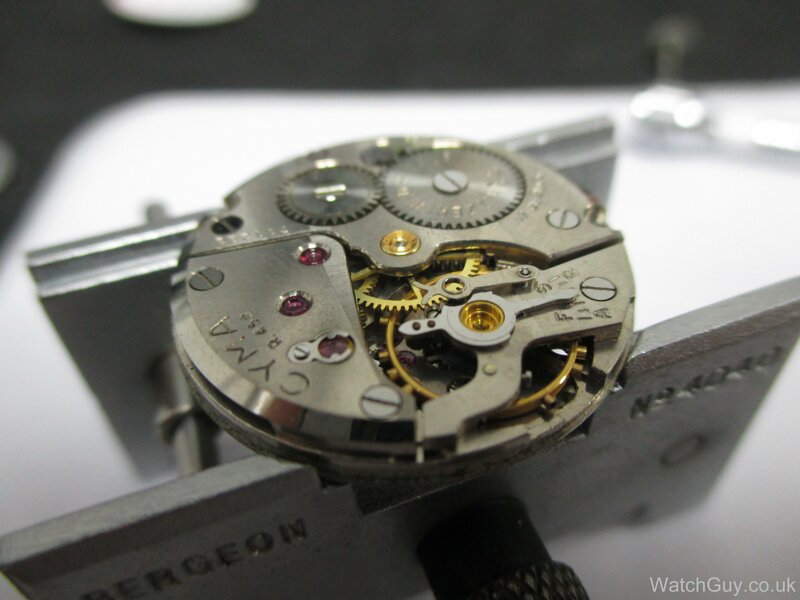 These movements have nice decoration and look great. I’m happy with the performance. I added a new brown leather strap that I think suits the watch very well. 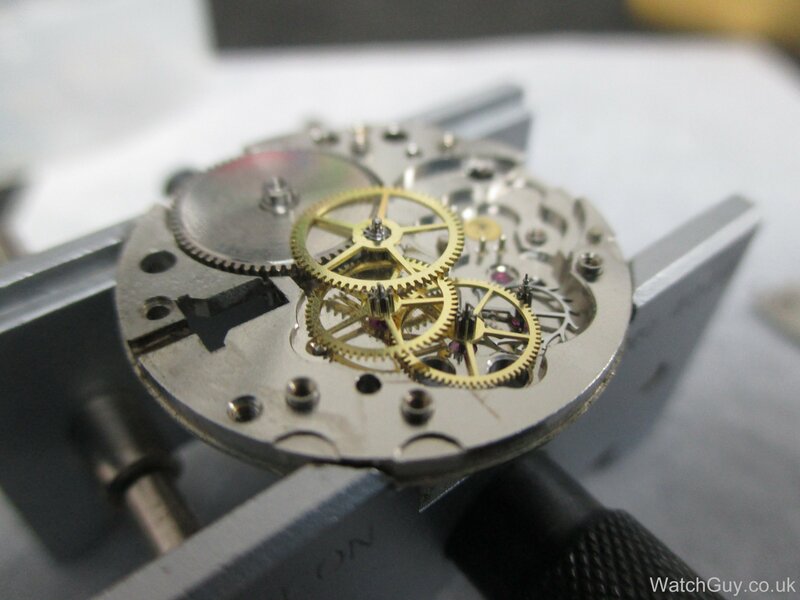 You can tell the time by pressing the pusher that opens the bezel and with your finger tips feel the position of the hands and the dial markers. My friend’s father received the watch the other day and he was completely surprised and very happy. 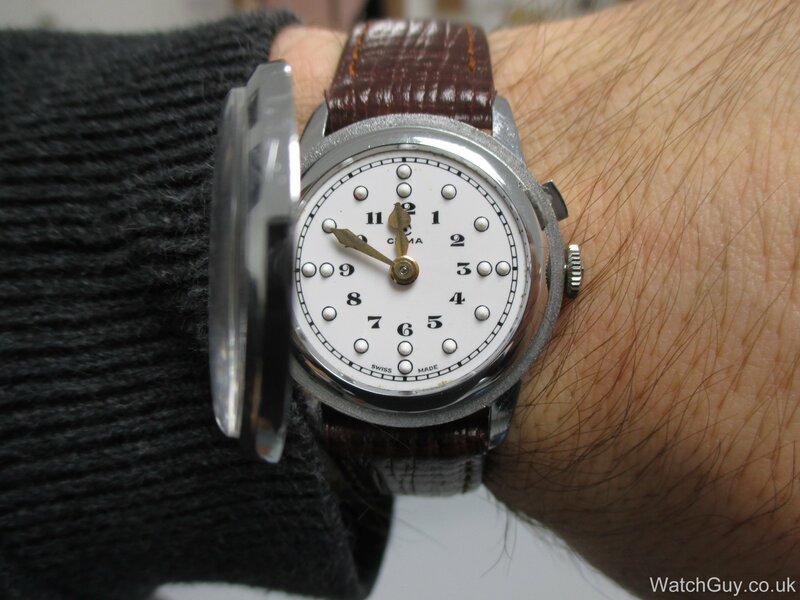 He told me it was easier to open the bezel and tell the time than on the Revue. 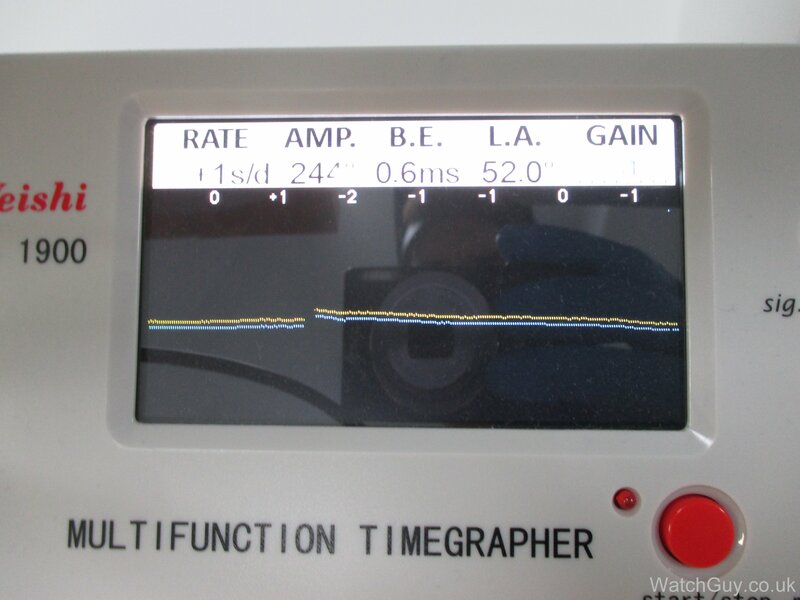 Also it felt better on his wrist as the case size was slightly smaller.